Located on the north coast of Northern Ireland, the Carrick-a-Rede Bridge is a hidden treasure. Stretching roughly 66 feet, and nearly 100 feet above the jagged rocks below, the bridge connects the mainland with the tiny island of Carrickarede. It’s a beautiful, yet harrowing, bridge in an absolutely stunning landscape. The Carrick-a-Rede Bridge is located on the north coast of Northern Ireland, about an hour and 15 minute drive north from Belfast. 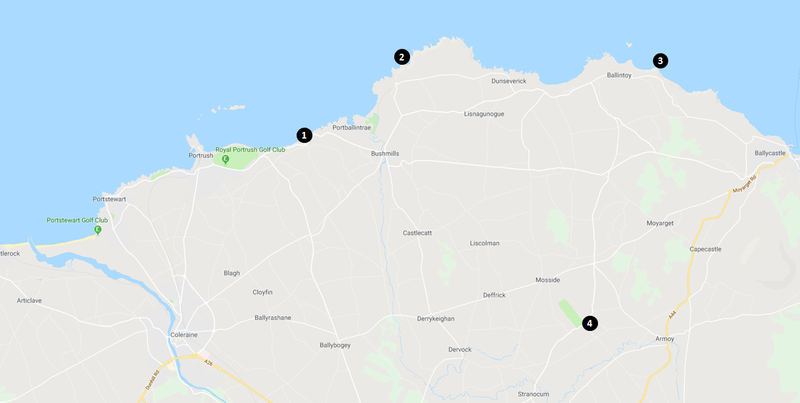 It is only a 10 minute drive from Ballycastle if you are looking for somewhere to grab lunch before or after visiting. 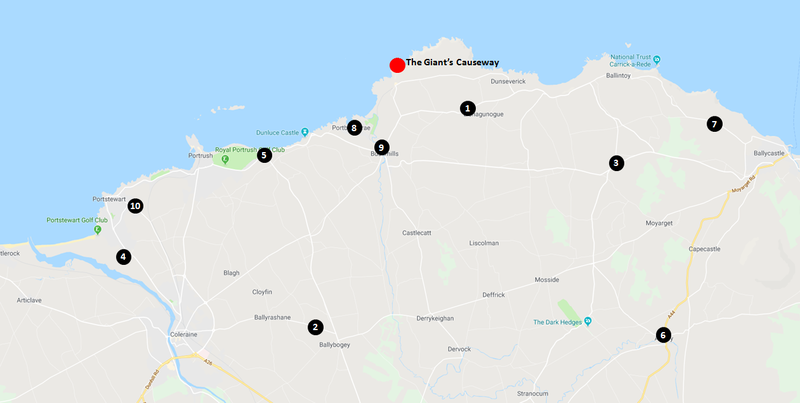 The bridge is also in pretty close proximity to the Giant’s Causeway (a short 25 minute drive), which is another feature of Northern Ireland that we will be writing about in the coming weeks. Both the Carrick-a-Rede Bridge and the Giant’s Causeway are stops that we absolutely recommend if you are in Northern Ireland. The Carrick-a-Rede Bridge opened to visitors in 2008, and since then has attracted roughly 250,000 visitors a year. So it does get a lot of traffic. The bridge is run by the Northern Ireland National Trust and is open to cross year-round, though that is subject to weather. The bridge is open from 9:30am to 5:15pm daily, so make sure you plan your visit accordingly if you would like to see it. The prices to cross the bridge are listed below. The coastline near the Carrick-a-rede Bridge in Northern Ireland. In addition to the Carrick-a-Rede Rope Bridge, there are a number of other popular tourist attractions in the area that you can see. If you are looking for some additional things to do, I have included a list of additional stops that I recommend below. To give you a sense of what it is like to visit the bridge, we have put a short video together of our visit. As you will see in the video, the scenery at the bridge is absolutely out of this world. The Carrick-a-Rede Bridge and the surrounding area couldn’t be more beautiful. Below are some of the pictures we were able to take during our visit. Thanks Douglas! We really enjoyed it!